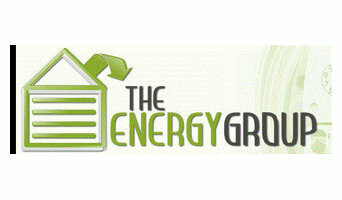 NJ-PA Energy Group, LLC, is a recognized leader in home energy analysis. We were founded by a team of recognized energy consultants certified by the NAHEC as experts in the saving of day to day energy costs. Our NJ Energy Consultant services offer interior and exterior evaluation with Energy Savings, Home Efficiency, Energy Analysis, Energy Consulting, Energy Loss, Energy Usage, Energy Audits, Evaluating Energy Usage, Energy Efficiency, Saving Money on Energy Bills, Energy Management, and Home Energy Audits. BF Landscape Factory is South Jersey’s largest distributor of EP Henry products. Founded in 2002, BF is dedicated to its customers. Building relationships through quality products and quality service is the foundation of our “one team one sale” motto. Our staff is comprised of former contractors. They have a combined industry experience of over 40 years. 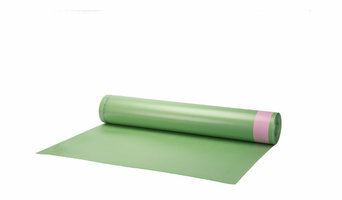 This allows us to understand the needs of the contractor and guide the do-it yourselfer through any project. Our extensive industry knowledge will insure that the customer gets the correct materials, correct quantities, and correct advice for the job. 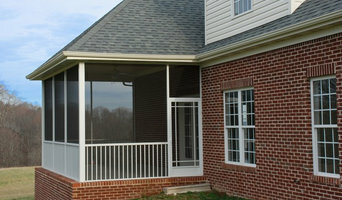 BF Landscape Factory is conveniently located on the Blackhorse Pike in Williamstown NJ. BF’s display area is over 4500 square feet with all EP Henry paver and walls, natural stone, fire pits, and fireplaces. 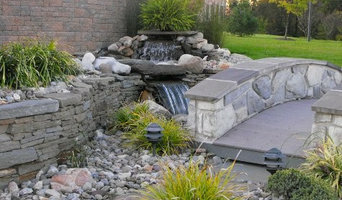 It is a great place to begin when thinking about a hardscape project. The display shows the product in a live setting so you can touch it, walk on it, and match colors in outdoor daylight conditions. Our location is accessible from all major roadways and allows us to deliver to the entire tri-state area. BF Landscape Factory is truly a “one stop shop” for hardscape materials. Whether you are starting a project from ground up or adding mulch and stone to an existing landscape, BF has the all the materials, tools, and advise to get the job done right. US Building Products is a internet retailer of quality American Made building products direct to the consumer. Our current product lines include PCA Products Aluminum Screen Doors, Fairway Railings and Fencing, WASCO Skylights and Ferche Hardwood Moulding. The Jordal Agency is an Independent Insurance Agency serving Cape May & Atlantic Counties since 1984. Our look has changed over the years, but we remain cemented on a firm foundation of service and commitment to our clients. Our primary objective is to establish a relationship between you, the insurance company, and our agency. We follow a very strict criteria when choosing the companies we represent and constantly monitor their performance to ensure the best service. Joe Bowski & Associates at RE/MAX REALTY provides one of the most comprehensive websites for searching all types of southern Delaware property. From new vacation beachfront resort homes, new condominiums & townhomes, building lots, land, acreage, farms and commercial properties for sale along Coastal Delaware coast. Sussex County Delaware has a vast and many diverse towns along the coast and in the country. The coastal communities of Rehoboth, Lewes, Dewey, Bethany, Fenwick Island, Selbyville, Ocean View and to the inland country communities of Georgetown, Milton, Millsboro, Millville, Dagsboro, Bridgeville, and Frankford. Joe Bowski and Associates at RE/MAX provide not only residential but also commercial services. This site provides access to searching the entire SUSSEX COUNTY MLS. Numerous custom essay writing solutions will also give you a finished document that is certainly recycled from previously composed work for other buyers. To prevent any such misdeed and offer instant relief by implies of instant money, lending businesses deliver money loans for the unemployed. Dealers Building Supply Corporation was founded in 1960. We are a full service distributor of roofing, siding, windows, doors, miscellaneous millwork, decking, railing and related accessory products. Our market area encompasses the Eastern Shore of Maryland, Sussex County, Delaware, and the Eastern Shore of Virginia. Description: Serving the tri-state area, we are a distributor of marble, ceramic and natural stone tile. Now offering kitchen and bath fixtures as well as luxury granite counter tops, we showcase products from over 30 countries. Stop by our showroom today!